Are you a Fresh graduate who is passionate in making a difference in your career? Have you started working recently and does not know how your career would grow? Have you been struggling with finding the meaningfulness in the work you do? 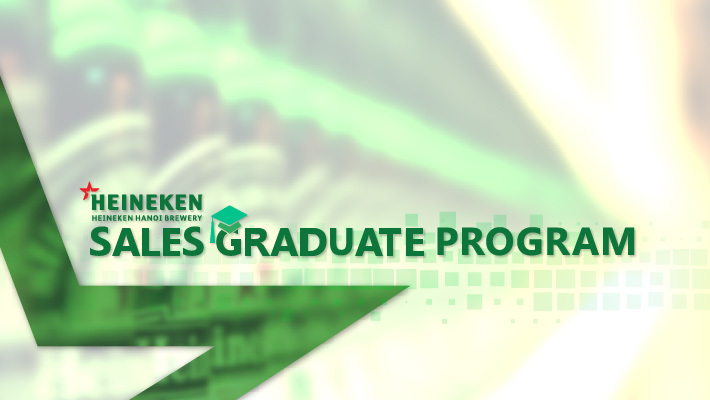 JOIN our Sales Graduate Program so we could help you! At HEINEKEN, We always WOW the World with our Brands, People & Performance. We help employees to achieve their dreams by offering to work with more than 250 Brands in more than 70 Markets. We care about employee's career development by enabling them to learn new skills by trying out new functions. Meeting people, sharing a beer or a cider with strangers, bonding and making friends is what makes a career at HEINEKEN unique. GO PLACES is a career journey, joining us to become someone important, to make something of your life, to mark your mark. HEINEKEN offers fame and accomplishment to our employees. CLICK HERE TO APPLY NOW !! !